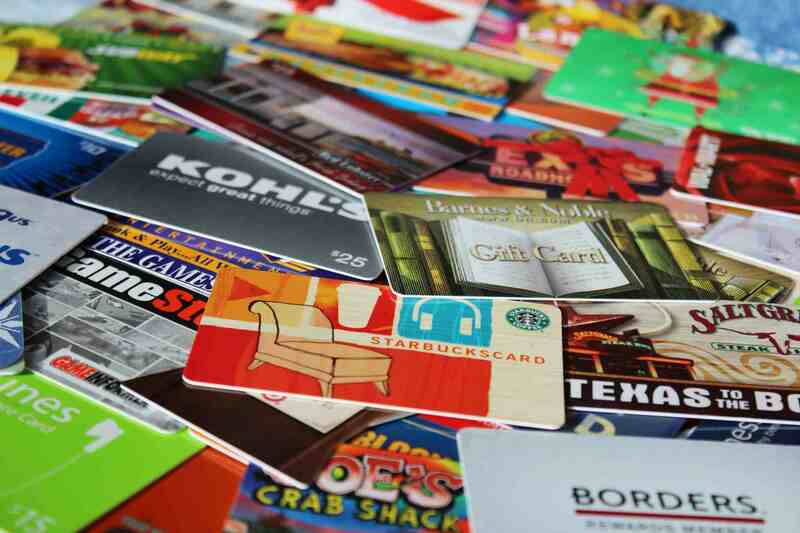 Stretch your budget with free gift cards. They're easier to get than you might think. With gift cards, you—or the person receiving the card—can choose what you want to buy. The cost of sending gift cards is a lot less than the cost of mailing packages. And you, or the recipient, can get more bang for your buck by shopping with gift cards during peak sale times. Here are nine ways to earn them. Social media is hot, hot, hot. Be among the first to friend or fan a company on Facebook, and you could be rewarded with a free gift card. Get involved in Twitter parties for even more chances to win. Pharmacies want your business, and they're willing to fight for it. Flip through weekly sales circulars in search of pharmacy coupons that can be redeemed for gift cards valued at $25 (or more) when you transfer your prescriptions. With pharmacies popping up all over the place, you should be able to earn several gift cards each year, simply by sharing the refill wealth. CVS, for example, offers such a program, as does ​Walgreens. Earn points redeemable for gift cards by reading emails, answering surveys, doing web searches, and shopping through Mypoints.com. There are more than 75 gift cards to choose from, and they all ship free. Swagbucks is another online rewards program where you can earn gift cards for completing tasks like answering surveys, printing coupons, shopping, and searching the web. Sign up for both and max out your earnings potential. Become a member of Harris Poll Online and convert your opinions into free gift cards by filling out online surveys in your free time. Auto dealers frequently offer free gift cards for test driving a particular vehicle. Take a quick spin and walk away with a fab freebie. "The best way to not miss any opportunity [to secure a gift card] is to get on the car manufacturers' mailing lists," says MoneyPantry. "Whenever there is an opportunity, you will be notified via email." If you have the discipline (and means) to pay off your credit card each month, charging your day-to-day purchases to a rewards card can be a great way to earn free gift cards fast. You may even be able to ​earn rewards from your debit card. Food companies frequently run mail-in promotions to reward customers. Spend a certain dollar amount (or buy a certain amount of product), and you could be eligible for a free gift card. The cereal aisle is a prime place to look for these types of deals. The process of applying for rebates is simple and takes just a few minutes. Set aside 15 minutes each day to enter sweepstakes and instant-win games that offer gift cards as a prize. The odds of winning are better than you might think.